Some time ago I had a great opportunity to meet my new friend Peter Burt. Many of you recognize the name but if you dont he's the guy who runs the Facebook group James Bond : COLLECTING JAMES BOND TOYS and MEMORABILIA. It all started when I got ill in 2014 and had to be home from work for seven months. It was the worst seven month of my life. Most days was horrible and some days were better. I suffered from panic attacks and could get as many as 60 a day. The first three months I stayed in bed. Totally isolated. 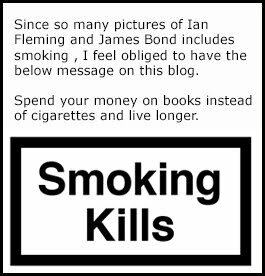 But slowly I got better and I decided to try and use the computer again and sell the James Bond collection I started in 1990. I only cared about the books and posters. The rest I could sell. I found Peter's group on Facebook and made clear that the collection was for sale. I got so many PM's that I had to say stop right away and decide to sell the collection piece by piece. This is how I came to know Peter and he was a great support during my recovery. Always nice, always polite. Hew was like a brother from another mother. So in December last year we decided to meet. I flew to London and took the train to Royal Tunbridge Wells were Peter would meet me and we had a great day at Book shop I wanted to visit and then we sat and talked at a resturant for hours. The friendship remains and when I went to London again I decided to take the train to his home town Deal and look at some of his collection and have lunch. Peter had been very kind and was able to let me have some books sent to him instead of all the way to Sweden. The difference in postage per book is £10 so just by doing this it paid for the train ticket from London. We had a lovely fish and chips and then we looked at the clock repair shop where he worked. He had hundreds of James Bond collectibles on display but also many collectables from horror films and the British music scene from the 70-80. 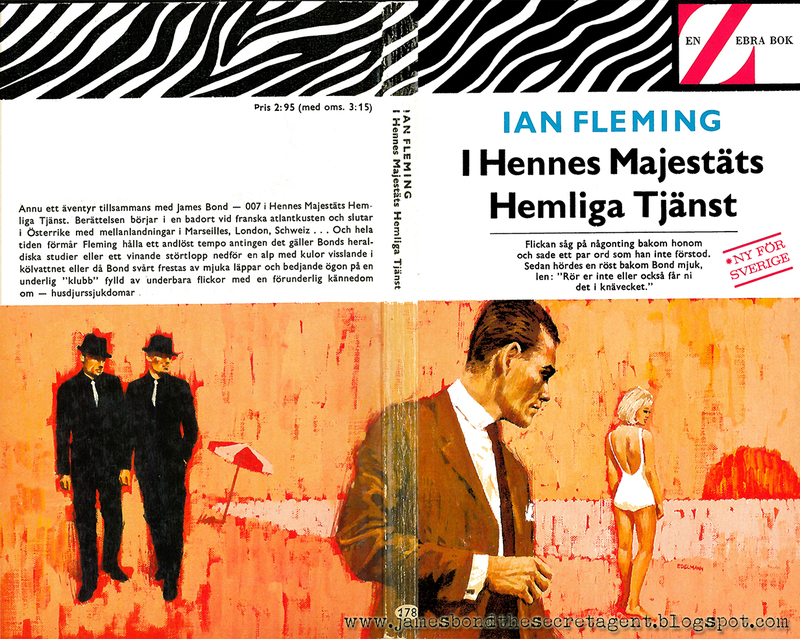 As a token of my appreciation of him being there for me during my recovery I gave him a first edition print of the Swedish Ian Fleming book ON HER MAJESTY'S SECRET SERVICE. 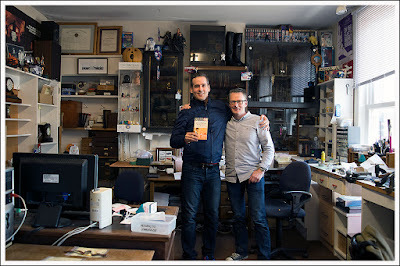 Below you can see the book cover and a great photo of two Bond fans who happened to meet over Facebook. The lives we live today with internet and social media is so far away from the loneliness we experienced back in the day before internet when many of us started collecting. We never felt the loneliness due to the interest in all things Bond. But for our parents it must have looked quite lonely.